Depending on your knowledge of comic book superheroes, 2016’s “Deadpool” either took you by surprise or gave you exactly what you expected from a movie about the most off-the-wall and unpredictable character in fiction. 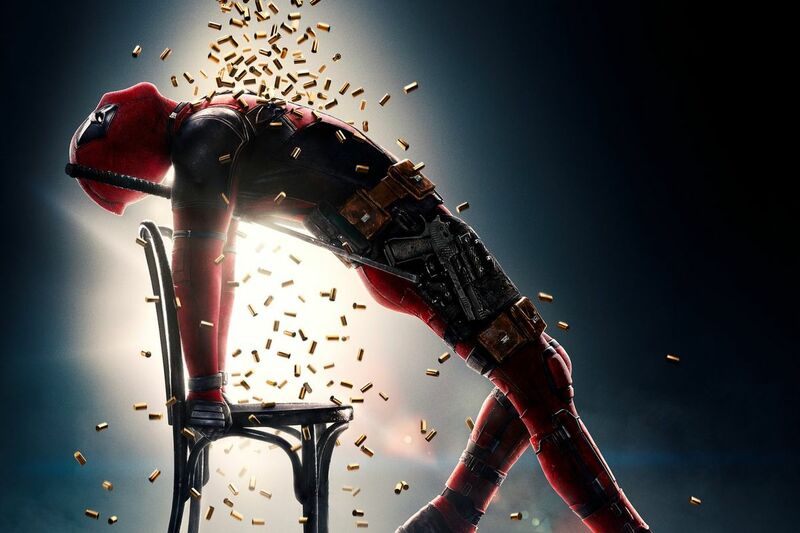 For me, “Deadpool” was exactly what I expected from the merc with a mouth, while offering a surprising refresshing love story at its center and tearing down the cliches and expectations we’ve come to know and love from Marvel films. Nothing too special, but a nice breath of fresh air while still satisfying that R-rated superhero craving we’ve always wanted to see in full effect. But the success of that film makes “Deadpool 2” an odd film to say the least. 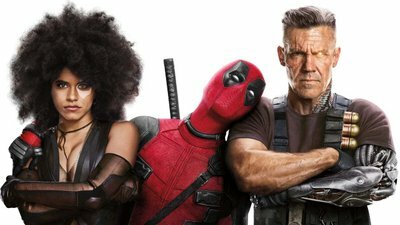 One could argue that it is more of the same, giving us the same over-the-top zaniness of the first film that hasn’t deteriorated in any way and might even be bolstered by having the same guy who directed “John Wick.” Yet at the same time, the story of “Deadpool 2” is simultaneously better and worse by giving our favorite anti-hero a redeemable character-arch that is hindered by a crazy time travel plot and loads of secondary characters. They clearly attempted to up the ante with the sequel while remaining close to the heart with its message about children and our future, but at the same time moved further away from the unpredictable nature of the character. This film picks up roughly two years after the events of the first film, when the wise-cracking indestructible mercenary Deadpool (Ryan Reynolds) has become so successful that he has other mercenaries trying to hunt him down. But deep down Deadpool has remained a softy and is still madly in love with his girlfriend Vanessa (Morena Baccarin) and the two decide they want to start a family, just as Deadpool figures its time to do some good and reach out to the X-Men. Though he faces problems right away as a cybernetic solider (Josh Brolin) travels from the future to stop his world from being destroyed by a dangerous mutant. The crazy thing about “Deadpool” is that, as absurd as the main character’s claim that it was ultimately a love story is, he wasn’t wrong – the relationship between the two leads was the best part of the story. 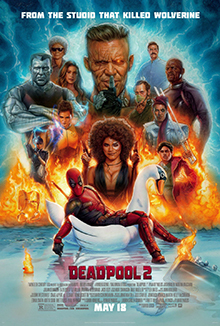 “Deadpool 2” works in very much the same way by openly saying this is a “family picture” which is followed by the anti-hero killing a whole gang of mobsters with his twin swords. Fun for the whole family! And yet, the strong bonds developed between these characters is surprisingly endearing, especially the sibling-like rivalry between Deadpool and the newly introduced Domino (Zazie Beetz). She describes her power as “being lucky,” to which Mr. Pool argues to no ends that that cannot be a super power and is thoroughly proven wrong on multiple occasions. The bickering between these characters and their need to show off that they’re better than the other works in a dysfunctional family way that makes their comedy feel natural. The laughs are plentiful here, though not quite as uproarious as the first film. There’s an endless stream of references, including towards Marvel, DC, Cher, My Little Pony and Ryan Reynolds’ questionable career choices. The film takes every opportunity to break the fourth wall, though not quite to the same degree as the previous entry. Honestly, some of the better moments are between Deadpool and Domino, as she plays the straight woman to his maximum effort. Beyond that, the comedy remains equal between the two films. 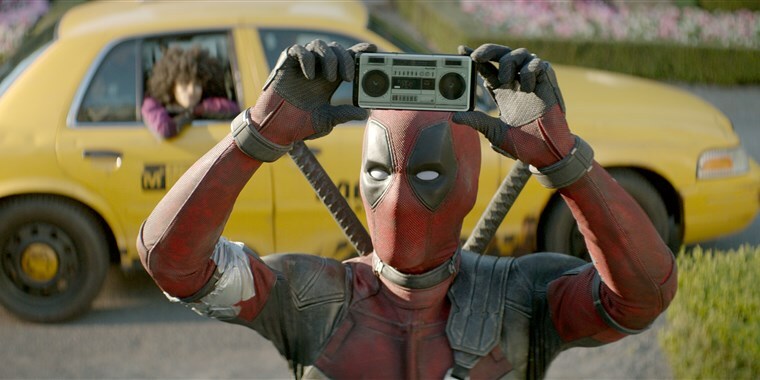 My biggest problem with “Deadpool 2” is that most of the time it takes itself too seriously, especially during the first act. The mood is dark and dreary in the beginning of the film and it takes a while before the cloud clears up and we get to the good bits with Domino and Cable. There’s a big emotional shift at one point and the filmmakers attempt to alleviate that pressure with a scene of Deadpool riding around in Professor X’s wheelchair that doesn’t feel sincere. “Deadpool” did a fantastic job of balancing its R-rated story and comedy, blending the two together seamlessly through its witty character. But now, he feels more like a clown instead of the world’s greatest stand-up comedian mercenary. As a result, the jokes don’t hit quite as hard as they did before, even if the story is an improvement. Overall, “Deadpool 2” is good R-rated fun that we’ve come to expect from Ryan Reynolds at this point. It gives us more of the same, but shows that it is still just as good the second time around. The story works well because of the strange bonds these characters form, bolstered by some great acting from Zazie Beetz and Josh Brolin. I wouldn’t call this an improvement over the first film, but it certainly isn’t a downgrade either.